De De Pyaar De Trailer: This Ajay Devgn Starrer Defeats Salman Khan's Blockbuster By A HUGE Margin! 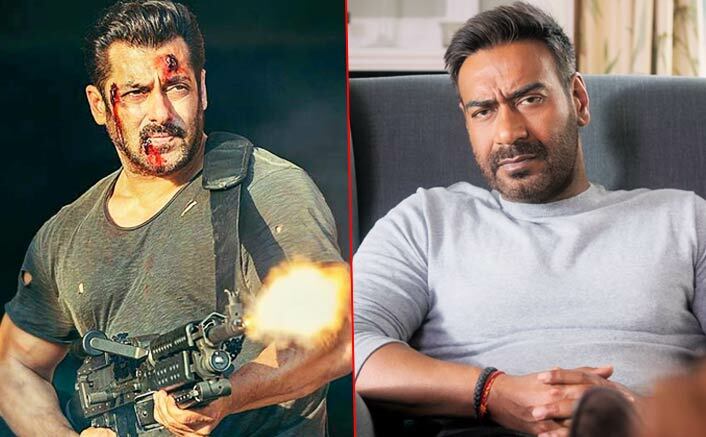 Home » Bollywood News » De De Pyaar De Trailer: This Ajay Devgn Starrer Defeats Salman Khan’s Blockbuster By A HUGE Margin! Within the first 24 hours, De De Pyaar De (DDPD) has clocked above 17 million views with an impressive 308k likes. De De Pyaar De is making the right noises amongst movie buffs and social media buzz is proof of it. The romantic comedy features an unusual yet fresh pairing of Ajay Devgn and Rakul Preet Singh with Tabu acting as an icing on the cake. The trailer, which released yesterday, is garnering tremendous and on YouTube alone. It has managed to surpass Salman Khan’s biggie. Within the first 24 hours, De De Pyaar De (DDPD) has clocked above 17 million views with an impressive 308k likes. In a meanwhile, it has overtaken Salman Khan’s blockbuster Tiger Zinda Hai by a huge margin, which amassed 13 million views and 450k likes on YouTube in the first 24 hours. Also, DDPD surpassed Ranveer Singh-Deepika Padukone-Shahid Kapoor starrer Padmaavat with 15 million views. With more than 17 million views, DDPD is the 5th most viewed Bollywood trailer in the first 24 hours on YouTube. Speaking about the blockbuster trailers, Zero is unbeatable with 41 million views and 1 million likes, while Thugs Of Hindostan is second highest with 22 million views and 680k likes. Ranbir Kapoor’s Sanju is in the third position with 19 million views and 538k likes. With 18.5 million views, Race 3 is at the fourth position. Seems that light-hearted movie is all set to score big amongst the masses with the trailer already being a ‘hit’ amongst the masses. Backed by T-Series and Luv Ranjan’s Luv Films, De De Pyaar De is directed by Akiv Ali and slated to release on 17th May 2019.